Grew up… in total misery. Life in suburban America wasn’t exactly what Rebecca always dreamt of. While she grew up fantasizing about getting away from the conformity of modern American life, she’s starting to find that now she’s grown up, things in the “real world” aren’t so bad. Living… at her parents’ house, though Rebecca desperately wants to move into an apartment with her friend from high school, Enid. Interests… boys. Rebecca, back in high school, considered herself one of the freaks, an outsider of sorts. Now that she’s growing up, though, she’s beginning to lose her romantic vision of the “creeps, losers and weirdoes,” as Enid describes them. She just wants to be around some normal men. She’s realizing that it’s not so bad to appreciate normal things. Challenge… becoming a productive member of society and ridding herself of the antisocial Enid. While Rebecca and Enid shared a close friendship in high school, the two are currently drifting apart. 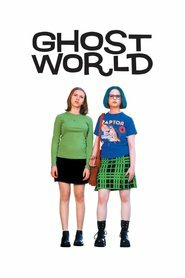 Rebecca wants to get a normal job, an apartment and meet a nice man, while Enid still spends her time critiquing mass culture, and wants Rebecca to do the same. Personality… biting and sarcastic. Rebecca is skeptical of mainstream culture, though she’s finding it difficult to remain so cynical now that she has to support herself on her own. Rebecca Doppelmeyer's popularity ranking on CharacTour is #833 out of 5,000+ characters. See our top-ranked characters and read their profiles.